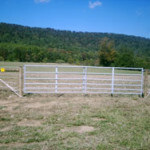 Along with all your fencing needs, ProFence, LLC manufactures and installs a variety of field gates and farm gates for your farm or ranch. 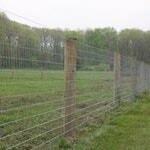 Below is a sampling of the field gates we have available. Contact us to talk to an expert on what type of gate will meet your requirements. 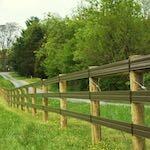 ProFence, LLC has been manufacturing and installing field gates and fences since 1993. 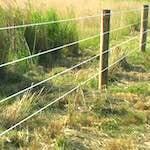 We will match your new fence gate with your current fencing so it performs the same task of keeping your animals enclosed and safe from predators. 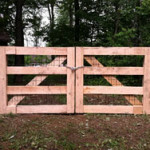 If you live in the Eastern USA and need a gate for your ranch or farm, contact us today to get started. 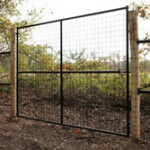 We offer 5 different types of field gates for your property. 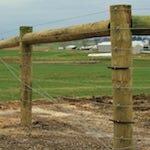 Contact us today for more information on our Gates for Farms and Ranches. 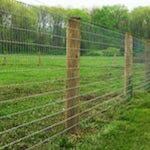 ProFence can install any type of field gate and farm gate for your farm or ranch on time and within budget. Your gate will be installed right the first time and can last decades. 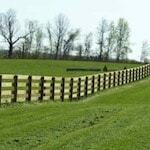 If you want a company to handle all your fencing and field gate needs, look no further than ProFence. Get started today!